“Fox & Friends” kicked off 2018 in characteristic form, running a segment Tuesday warning viewers about the danger of illegal immigrants and marijuana — and the possibility of both. The moment suggested Earhardt may not be up on the most current weed lingo. 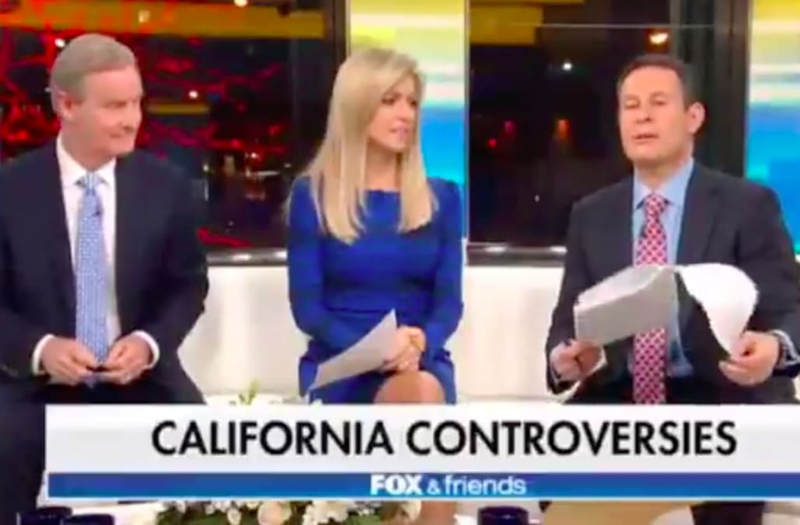 The segment with co-hosts Brian Kilmeade and Steve Doocy focused on news that beginning on Monday California became the latest state to allow legal sale of small amounts of recreational marijuana. The hosts took a dim view of the matter, lumping the issue together with California’s decision to also become the nation’s first “sanctuary state” for immigrants without proper documentation. The designation, officially signed into law by Governor Jerry Brown, makes it illegal for state and local law enforcement to ask about immigration status or assist in federal immigration raids.